Liv nightclub Miami is one of South Beaches hottest clubs to party in VIP style. Liv is an amazing club and lives up to it name as a super high energy club that you will not forget. If you go to Liv be prepared to wait in long lines or no get in at all. Liv is one of those clubs were you either have to look like a super model or know the right person to get in. However we have the answer for the best time ever and no waiting in lines check out our Liv nightclub Miami Party Packages that include Liv nightclub, Story and many others. The Party Package is our best seller and after you experience it you will understand the many benefits the Miami Party Package offers and why its the way to go. You can reserve the Liv Nightclub Party Package with the deposit link below. Please call is email us for a ticket price quote before you reserve due to the ticket prices change weekly depending on the event. Liv nightclub is South Beaches newest mega dance club at the Fontainebleau Hotel. The club has breath taking lighting and a great sound system that will have you dancing all night long. Liv also has many podiums throughout the club with beautiful dancers that inspire the crowd with amazing energy. If you want the VIP experience Liv has long staircases leading to private sky boxes for VIP table bottle service. There are also many other VIP areas spread thoughout the club and top DJs spin all the latest music from trance to hip hop and house. 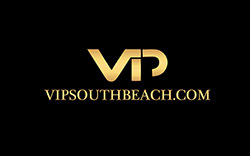 Liv is not and easy club to get into unless you are a famous super model or celebrity so give VIP South Beach a call and let them handle parting that very tough velvet rope for you. *To pay the nightclub party package ticket deposit of $25.00 per girl or $35.00 per guy please fillout the deposit form below and enter you credit card information on the secure Pay Pal linked page once you press the Pay Now button.